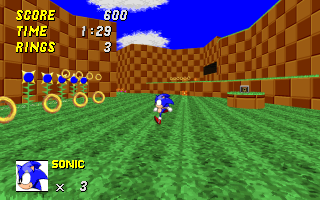 A nice 3d homebrew Sonic game using a 3rd person camera view. very nice, still too slow to be really playable but quite cool! Yeah its not really good playable, unfortunately. How can i hear the music of the game? I cant even get this game to START. PLEASE PORT THIS GAME TO CAANOO!!! i love SRB2 and would love to play it anywhere!